Every now and again I am asked to develolp recipes catering for the most common food allergies, those being to wheat, gluten or dairy. One of my favourite flour substitutes of sorts in baking is nut meal. While almond meal may seem a little more expensive at first, it makes perfect sense in cakes and tarts because it is naturally quite high in oils and keeps baked goodies wonderfully moist. To counter-balance the cost of the almond meal, I used delicious ripe figs which are currently in season and cost next to nothing. They are naturally sweet so the amount of sugar in the cakes could be reduced as well. The batter itself is fairly simple to make, and there is little prep required for the figs. The tarts (or muffins) are best eaten warm with a scoop of vanilla (soy) ice cream on the side, but they keep well for a couple of days if you are making them in advance. These little tarts are quick and easy to whip up. If you are not into figs, try berries of all kinds, pears or plums even. Makes for a great pastry to share with large groups. Cut 4 of the figs in half longways (stem to tip). Dice the remaining 2 figs into 1cm cubes. Beat egg yolks and sugar until light and fluffy. Add almond meal, baking powder and apple sauce into the yolk and sugar mixture,and stir through diced figs. Fold in whites gently until the mixture is combined. Divide batter evenly between 8 cupcake liners. Push half a fig into each tart. Bake in a pre-heated oven for around 20 minutes or until the tarts are just starting to turn golden. Enjoy on their own, or with a scoop of (soy) vanilla ice cream. Your presentation brings these tarts to another level. The cross section of the figs make them so enticing. Stunning photos, I love them so much! I have yet to try almond meal but I would really like to! The photos are so lovely! The recipe sounds absolutely delicious. 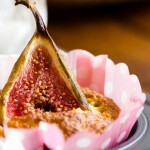 Why, why, why must you tempt me with beautiful fig recipes months before they come in season here! The presentation here is so darned cute. I’m going to pin these under my “innovative food presentation” board. wow! They looks so great!! I’m fig lover.. I want to try this if I find really good fresh fig though! Those figs look amazing! A lovely gluten free recipe. I just love figs! and the cute pink cases! Thanks for the new gluten free cake in a beautiful show case of bright pink figs. Leaving the figs whole like this is so artistic. Love it. What is your criteria for knowing when the fig is perfectly ripe? I’ve honestly never seen a fresh fig (i’ve only ever eated dried figs. They look gorgeous! This is so lovely! I just pinned it! 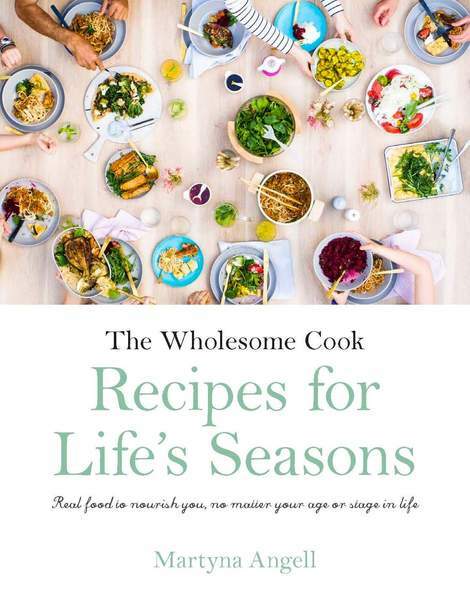 Gosh not only is the recipe a keeper, but your photos are beautiful!!! Yum! I love figs, its been such a long time since I ate some. The tarts look beautiful! 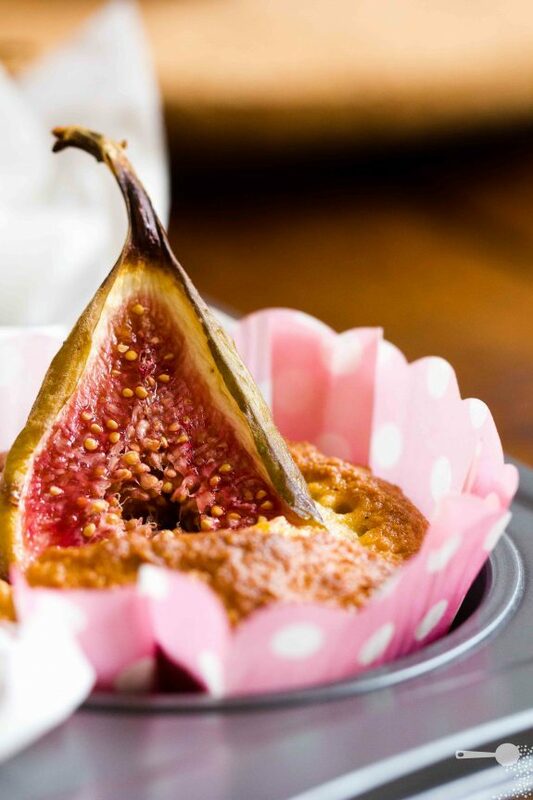 pushing the fig into the batter is perhaps my favorite part of the recipe – so fuss free and the results look fantastic! I tried making these and they were absolutely divine! Thanks for making my world about 100x better! Amazing! Omit the sugar and it’s perfect! Ooh I really love these! I can’t get enough figs right now. Love this time of the year! Now that is how you treat a fresh fig – gorgeous! Just a note….the recipe calls for baking powder and apple sauce and yet, there are not instructions on when to add them!!! Not good! Hi, sorry about that! I have now updated the recipe. Thank you!